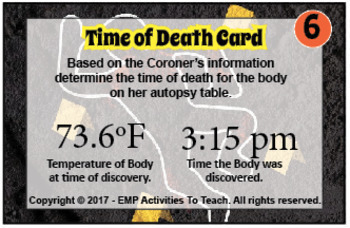 Take on the job of the City Coroner and learn how to calculate the TIME of Death in this Forensic Science activity. 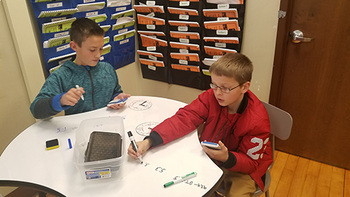 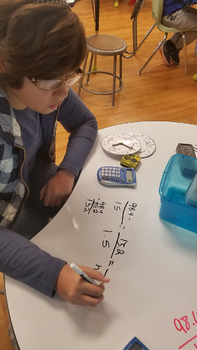 Great cross-curriculum activity with using PEMDAS and showing Jr Coronors how they use math in everyday jobs. 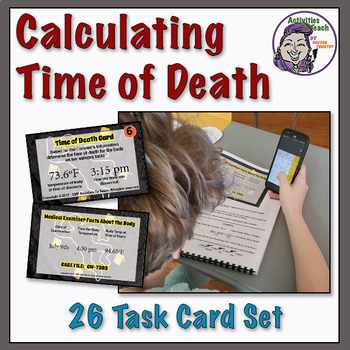 + Student Answer Sheets for cards and case files.